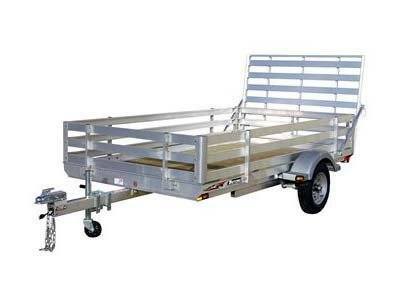 Triton's GU10 utility trailer is an example of how a tilt bed trailer should be built. Low deck height and dropped tongue makes for a low deck angle when tilted or for a low ramp angle with optional ramp kits. This will make lower profile machines easier to load. The GU10 is a great multi-use trailer for ATV's, side by sides, garden tractors, yard waste, and more. The wide selection of accessories allows you to get everything you can out of one trailer.